This is a gorgeous vase! made by Michael Hunter for Twists Glass in 2018. 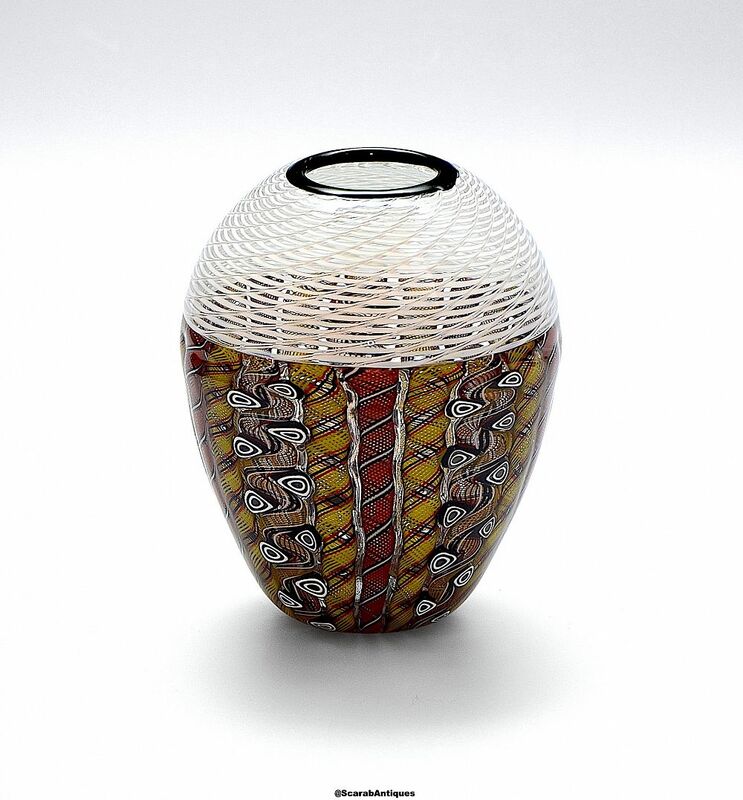 The bottom section is Weaver pattern being a series of zanfirico canes in red yellow & black, red white & black and yellow black white & red interspersed with black & white murrine canes. The colour way gives the piece a very moody feel. The incalmo top is white willow canes with a black rim. The base is scratch singed "M Hunter Twists 18" and has the Twists Glass studio label.